When I arrived home from Philadelphia, I got the news that John Geweke was giving a seminar at CREST in the early afternoon and thus biked there to attend his talk. The topic was about comparing asset return models, but what interested most was the notion of comparing models without a reference to a true model, a difficulty I have been juggling with for quite a while (at least since the goodness-of-fit paper with Judith Rousseau we never resubmitted!). 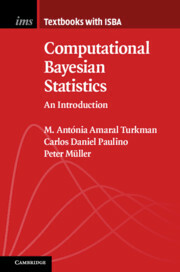 And for which I still do not find a satisfactory (Bayesian) solution. can be considered and the paper examines the impact of picking the optimal weight vector against the log scoring rule, i.e.